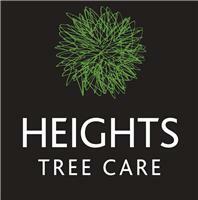 Heights Tree Care - Tree Surgeon based in Gallowstree Common, Berkshire. Heights Tree Care are a tree surgery company based on the border of Oxfordshire and Berkshire. We are proud to serve customers across the Home Counties. We are a team of highly qualified tree surgeons providing a comprehensive service. In addition to tree removal, stump removal and tree pruning we offer services including hedge cutting, tree and hedge planting and emergency work. We ensure that our work is completed to the highest of standards, complying with health and safety regulation. All work is covered by Employers Liability and £10,000,000 Public Liability Insurance. Heights Tree Care strive to be environmentally friendly. Our wood chip and logs are used for biomass and sustainable local firewood. Berkshire, Oxfordshire, Hampshire, Buckinghamshire, Surrey.